Air pollution continues to make its way into headlines, as experts continue to discover negative related health effects. Recently, researchers from the Barcelona Institute for Global Health explored how air pollution in both the school and home environments affect children’s health. They found that increased exposure to air pollution can lead to an increased risk of developing obesity in childhood. “We observed that children exposed to medium or high levels of air pollution at school -- ultrafine particles, [nitrogen dioxide], [particle matter], and [elemental carbon] -- had a higher risk of obesity and overweight as compared to those exposed to lower levels,” said researcher Jeroen de Bont. The study included over 2,600 children from nearly 40 schools in Barcelona, and all of the children were between the ages of seven and 10. For one week during the summer and one week during the winter, the researchers measured the levels of ultrafine particles, particle matter (PM2.5), nitrogen dioxide (NO2), and elemental carbon (EC) using sensors placed in the schoolyard. The researchers used the children’s home addresses to estimate their exposure to the same emissions in their neighborhoods. The researchers also analyzed each child’s height and weight to determine their body mass index (BMI). The study showed that children who were exposed to higher levels of air pollution were more likely to become overweight or obese throughout their childhood. According to de Bont, pollution can “induce oxidative stress, insulin resistance, and systemic inflammation,” all of which can contribute to obesity. Recent studies have shown just how susceptible children are to feeling the effects of air pollution. Researchers have found that not only is air pollution killing seven million people every year, but it’s also sending more and more people to the emergency room. Poor air quality could be hurting children’s performance in school, as test scores dropped in areas with particularly high levels of air pollution. 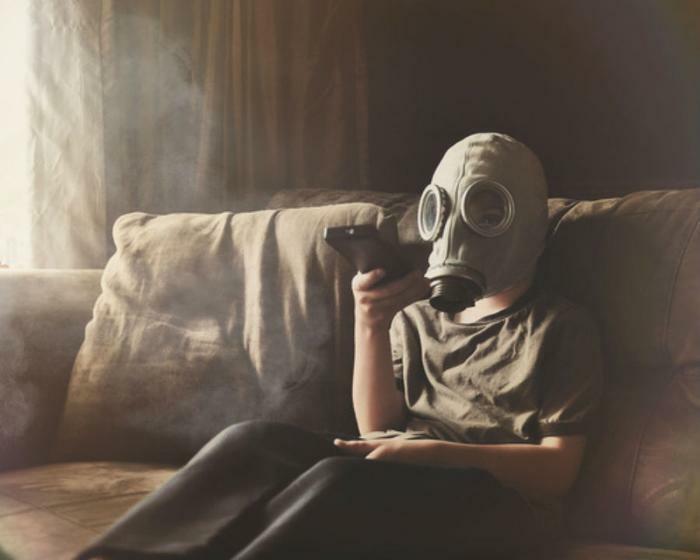 A study from the end of this past year showed how children’s health continues to be affected by air pollution, causing childhood cancer, respiratory illness, or impaired cognitive abilities or development.